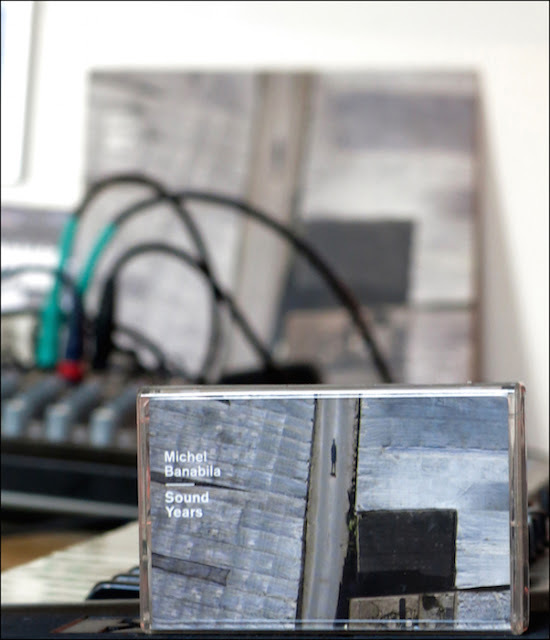 RUSHHOUR: MICHEL BANABILA - SOUND YEARS - TAPU RECORDS: Sound Years is a Michel Banabila sampler, segueing selected tracks from ten previous albums along with one new work into two gentle, chilled-out continuous pieces. This has the diversity and variation of a various artists chillout compilation, but impressively, it’s all the work of one man (and a couple of guest appearances). Smoothness is the order of the day here. Gentle piano melodies, occasional plaintive guitar strums, and found sounds including the classics such as falling rain ambiences and tropical birds, blend with the mellowest flavours of electronica chill-out such as the deftly twisted and re-pitched vocal samples in “Earth Visitor”. Other sections are more pared-down, simple warm drones, deep vocal sustains and cultured resonance.